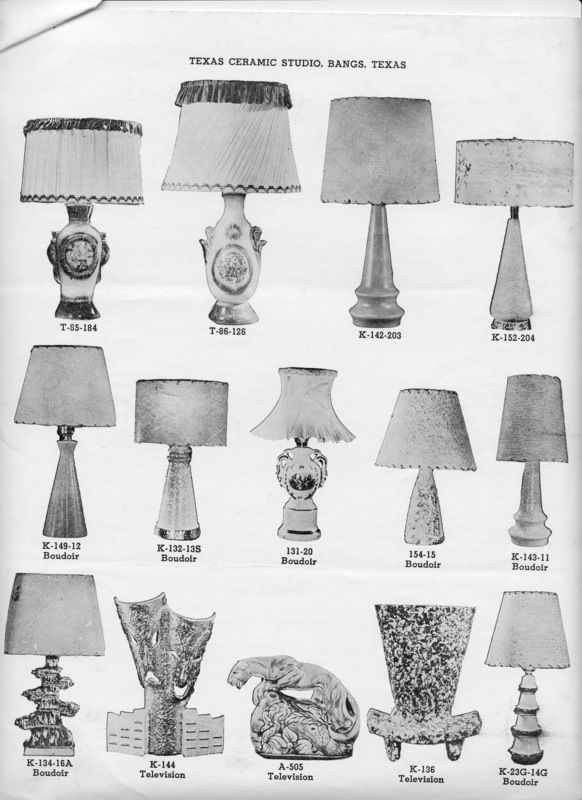 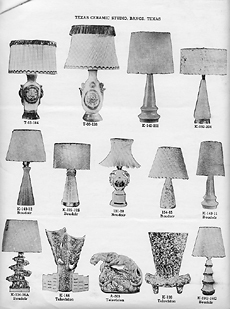 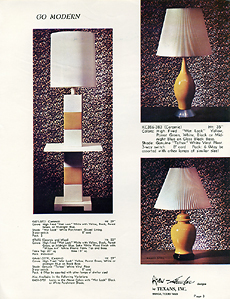 The very unusual TV lamp at the top could be ordered with one of three different animal figurines. 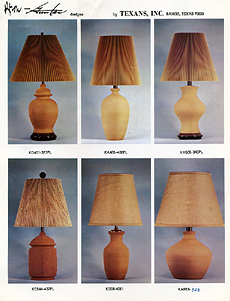 I was surprised to find this page of wooden products, and have no information on them. 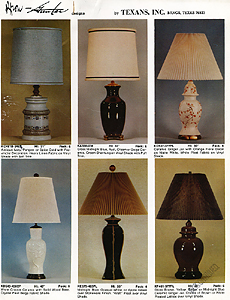 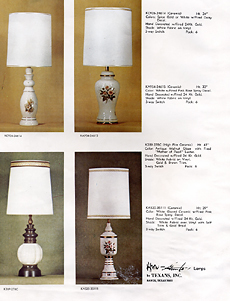 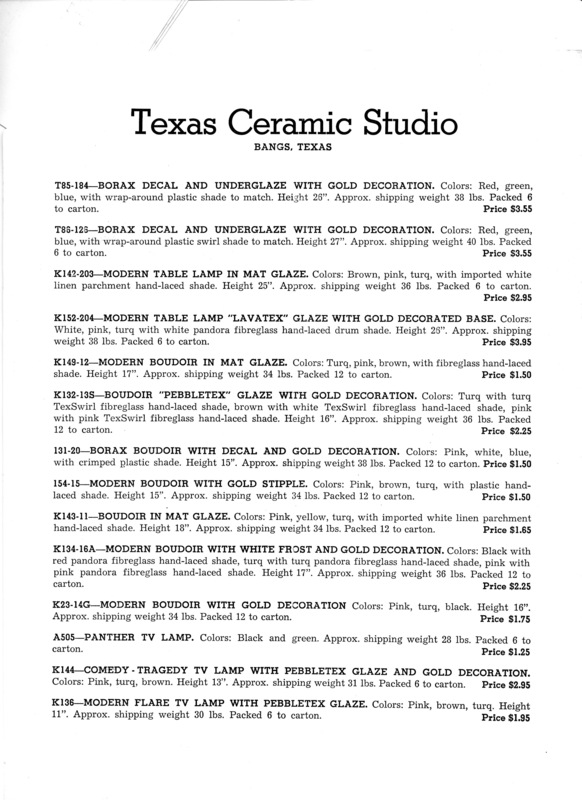 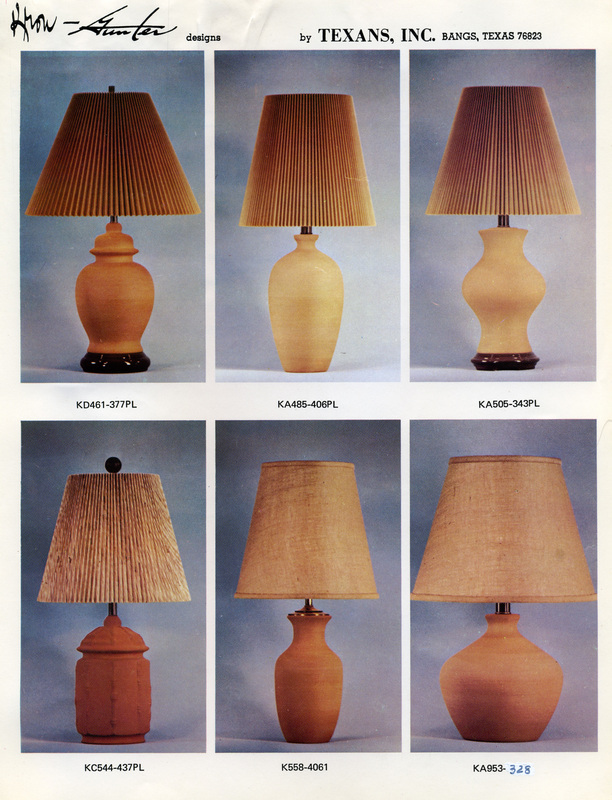 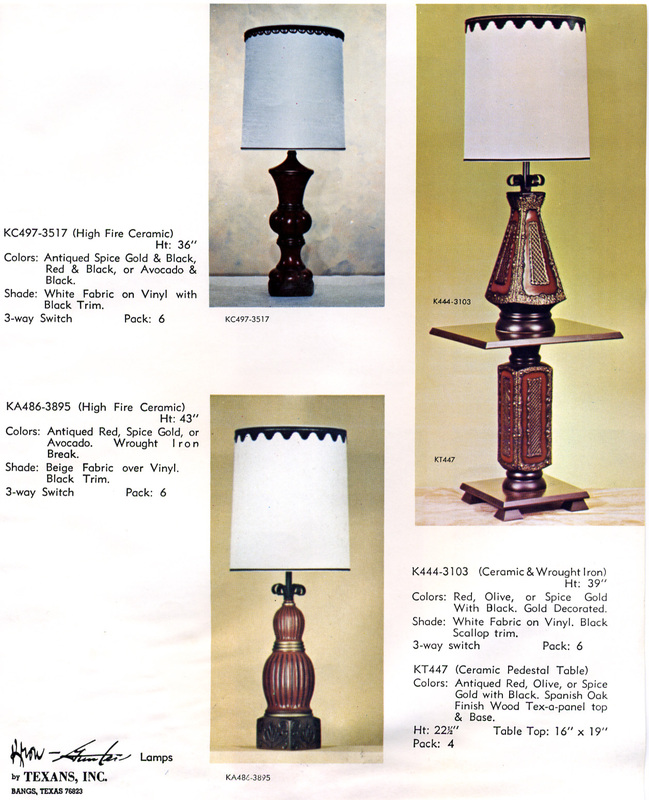 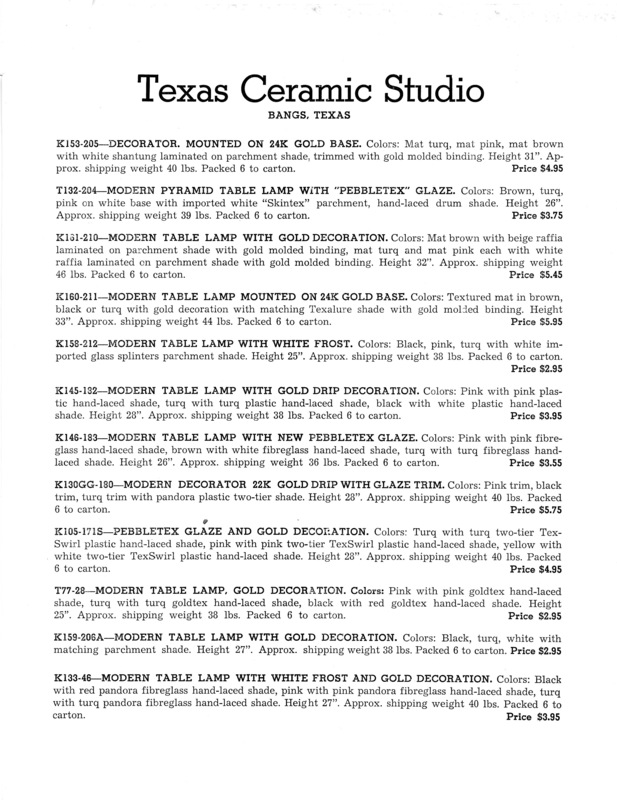 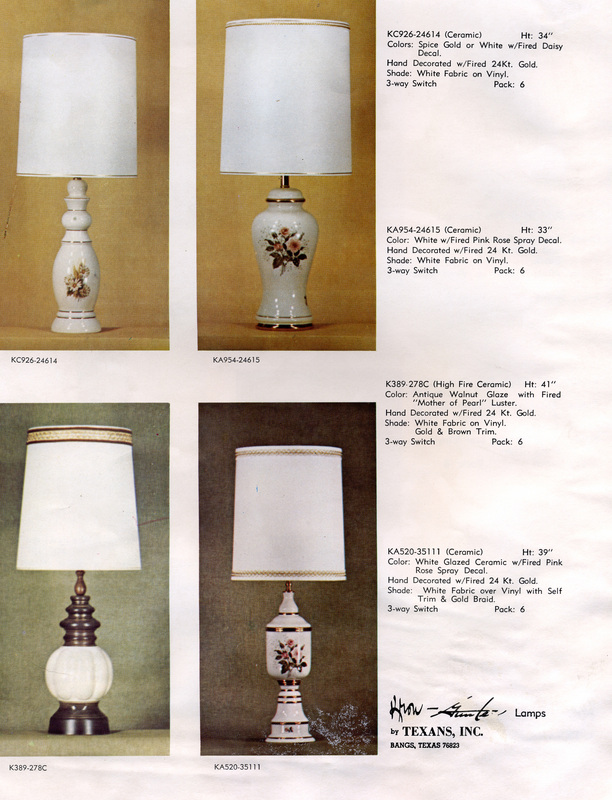 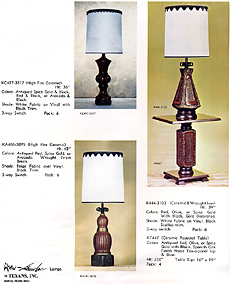 Spanish-inspired designs were popular in the '70s, and the K444 was a huge seller. 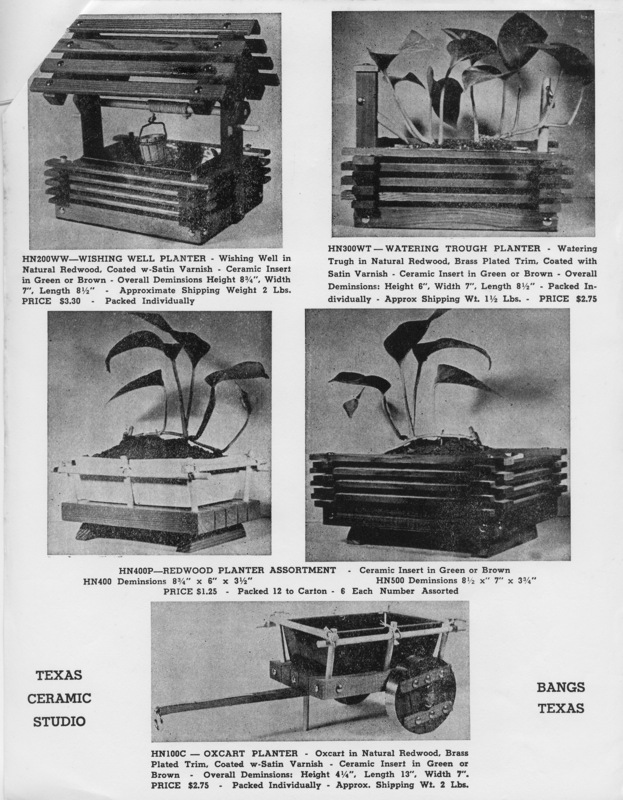 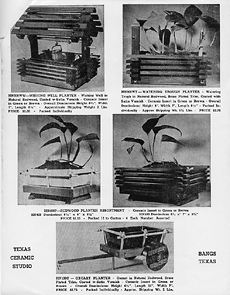 These great "Planter Lites" never found their market, and are rare today. 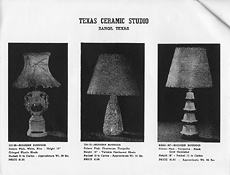 These appear to be terra-cotta, but were actually finished with a unique glaze that mimicked a terra-cotta finish. 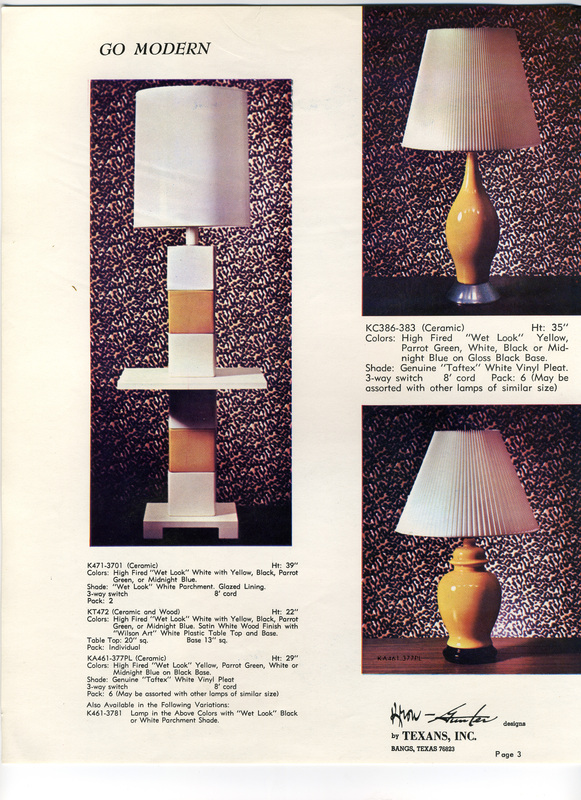 The K471 certainly targeted the "mod" look! 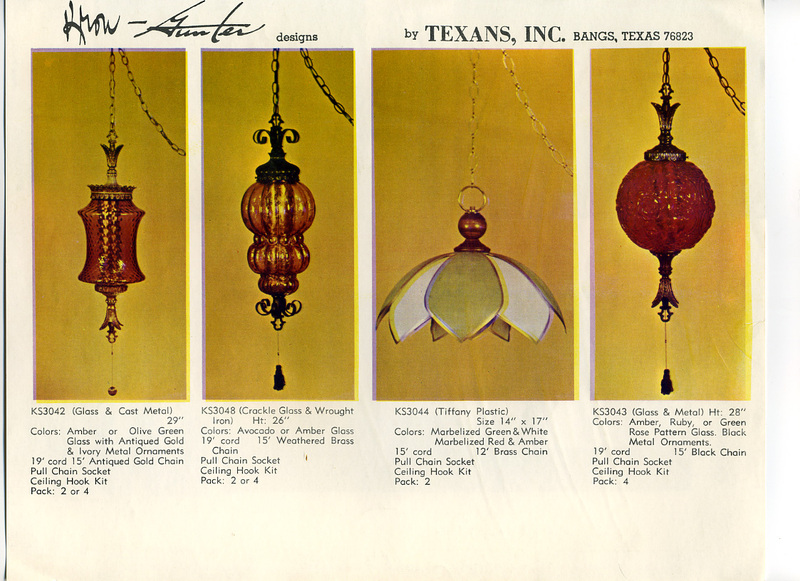 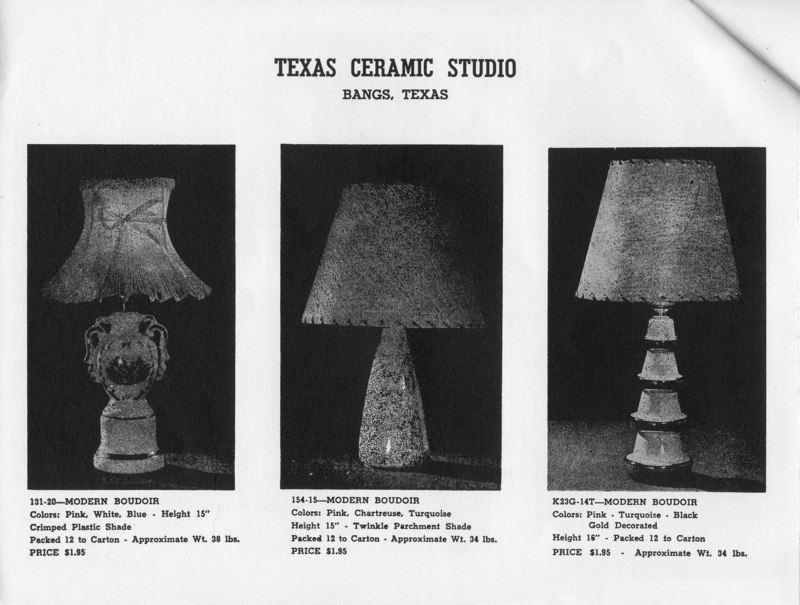 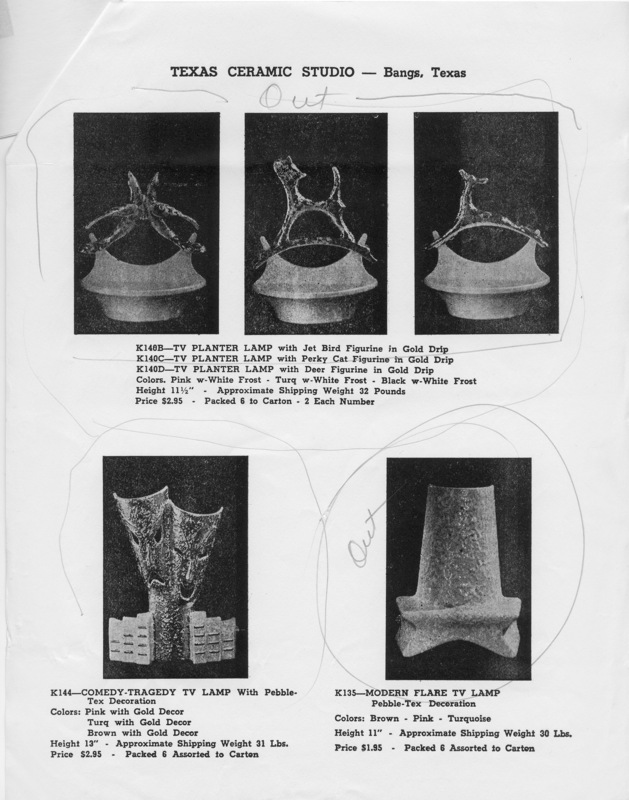 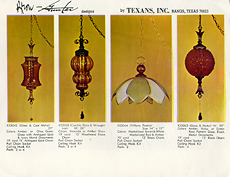 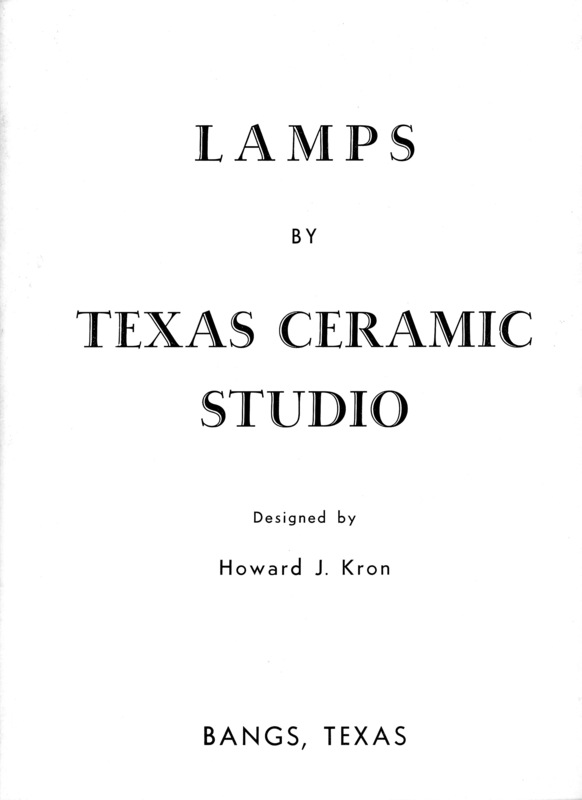 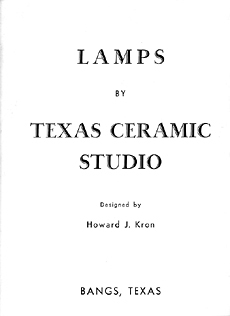 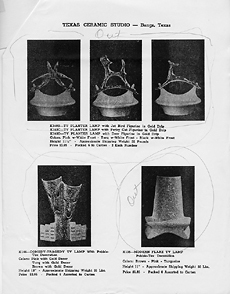 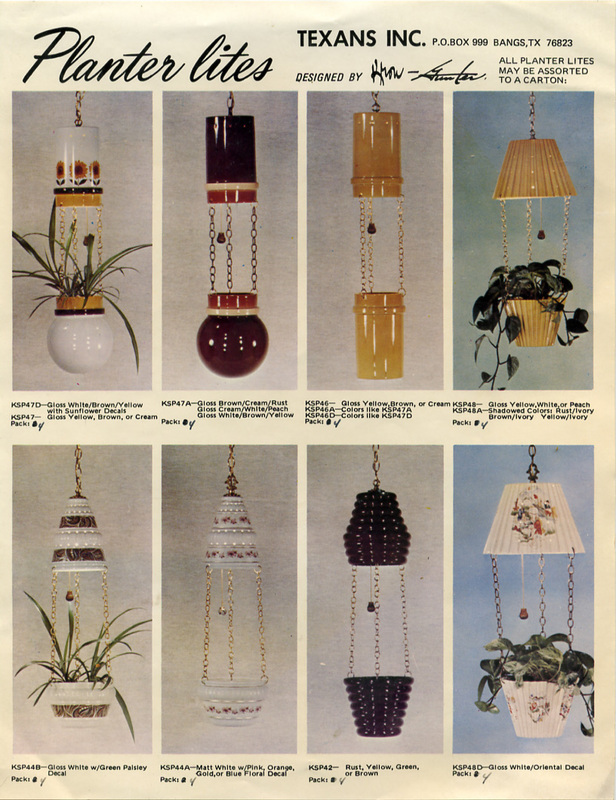 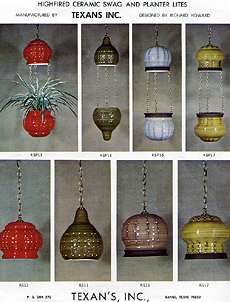 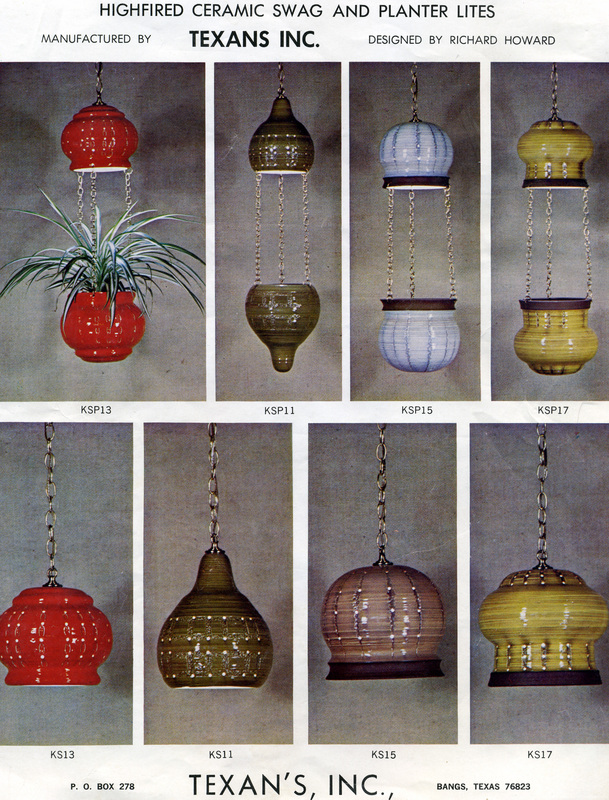 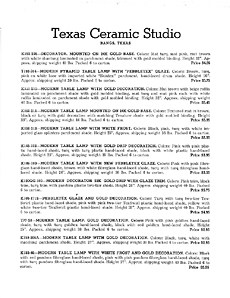 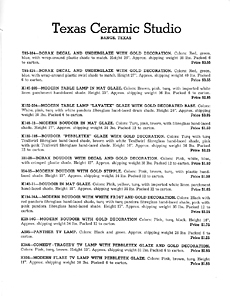 These hanging lamps of metal, glass and plastic went into production as Texans rebuilt after the fire in 1971.